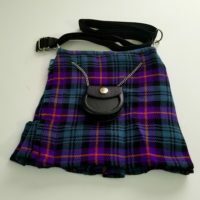 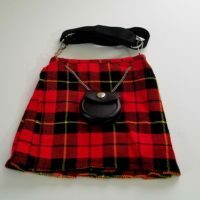 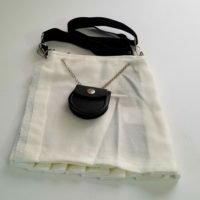 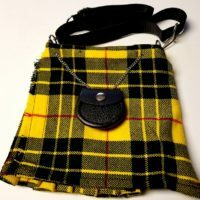 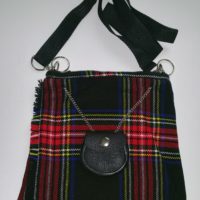 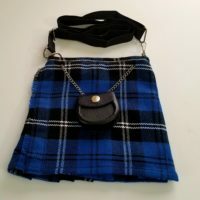 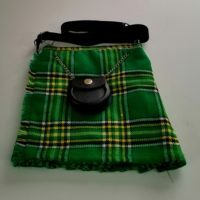 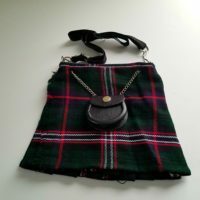 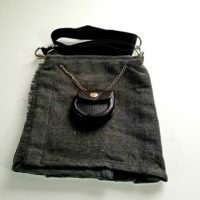 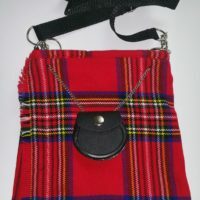 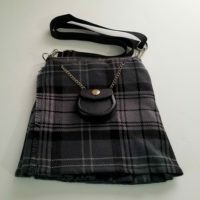 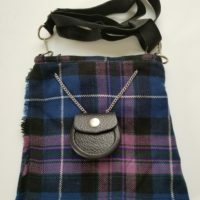 These plaid kilt purses is made with wool and has a zipper pouch with satin lining. 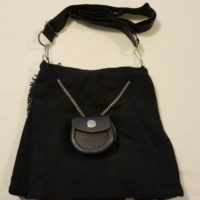 A small inside pocket on the side with a velcro closure makes an easy-to-reach pot for a cell phone, keys or change. 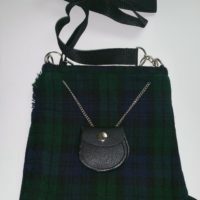 The 38″ shoulder strap is adjustable and attaches to the bag with lanyards. 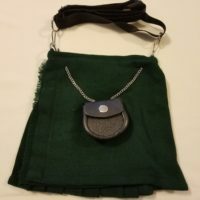 There is a small pouch on the outside of the purse. 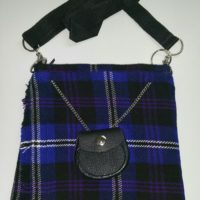 They are available in plaid as well as plain.